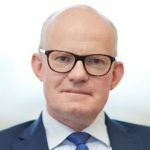 Max Hill QC has taken up the post of Director of Public Prosecutions for the Crown Prosecution Service (CPS). The Attorney General announced Hill’s appointment back in July. He replaces Alison Saunders whose tenure ended on Wednesday 31 October. Hill brings a unique combination of legal expertise and public service at the highest levels to his new role. In March last year, he took up post as Independent Reviewer of Terrorism Legislation as well as being head of Red Lion Chambers and chairman of The Kalisher Trust. He has a strong record of defending and prosecuting a number of complex cases involving homicide, violence, corporate crime and high-value fraud and has led some of the most significant and high-profile murder trials in recent years, including work on one of the Damilola Taylor murder trials and the 2005 London suicide bombings. Hill led the South Eastern Circuit between 2014-2016 and was chairman of the Criminal Bar Association between 2011-2012. He has worked extensively in an advisory capacity both nationally and internationally. Hill won a Scholarship to study Law at St Peter’s College, Oxford from 1983 until 1986. He qualified as a barrister in 1987 and was appointed Queen’s Counsel in 2008.